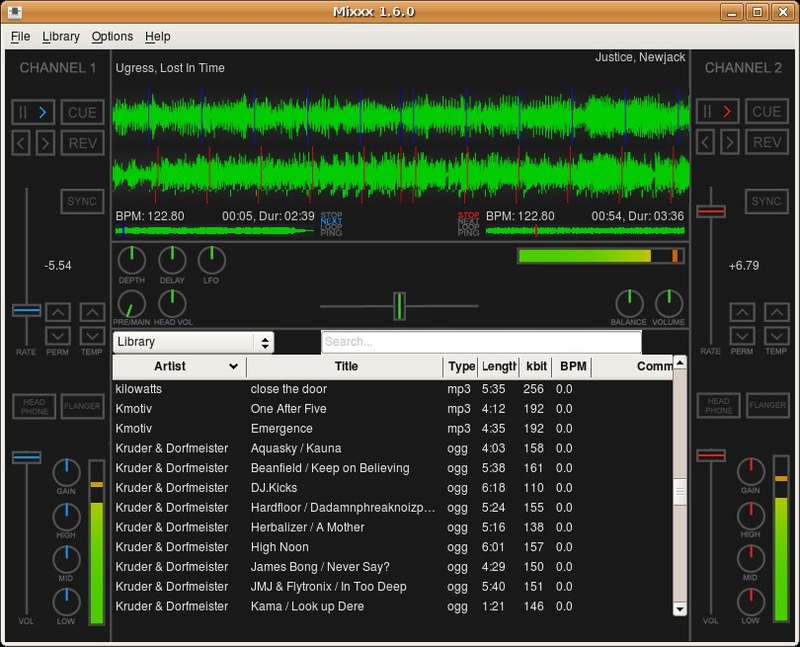 Mixxx [Freeware], DJ Software from Mixxx. _ What characteristics have motivated your choice? _ What is your config (Motherboard / CPU / Ram / Hard, ...)? _ With which instruments or systems (console, preamp, DTD ...) you use it and how connections? When used on a conventional set (cad) 2 Sl 1200MK2 + a pair of vinyl serato + table + sound card + two additional pre-amps. _ The installation is done it without problems? _ Have you experienced any incompatibilities? _ The general configuration is easy? _ The manual is clear and sufficient? Yes very full but only on their website and in English (with google translate is ok). _ The software works he correctly on this configuration? This is a tiny portable so frankly it's a bit short but done with my grade 7 and is based on my machine (not soft). _ How long have you use it? _ What is the particular feature you like best and least? If there is a least it would be that there would be little going a bit too many functions. But we can set so it's not bad. Rendering compared to a conventional set is quite attractive. _ Have you tried many other models before buying it? _ How would you rate the quality / price? How to tell? Simply: great! _ With experience, you do again this choice? Let's say I'm happy not to have invested in an expensive software! A test primarily because it is a nice software, free, free and very good quality. Thé-aux-Rems's review (This content has been automatically translated from French)" but everything must be free:)"
after a quick and easy instalation and configuration after noon I got so used to understand how it works, it is very simple but my advice is to go download a new skin because it allows the hot cue and loop jai much like the fact that little app will search all the music you have at demarage because it allows direct access to the file. 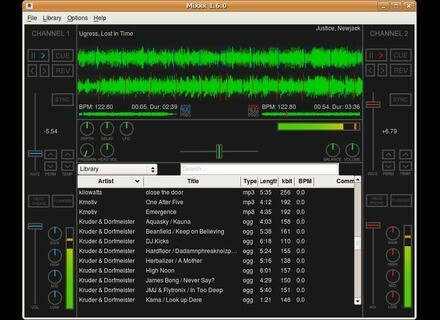 I use it for 7 days and I'm not disappointed for a freeware software is no shortage of arguments as in fact it runs on small config and manages the south, and the timecode is a very good software I whole board at the beginning because it's not serato, May for a price of 0 euro is a good deal! gontie's review (This content has been automatically translated from French)" For free, it&#39;s just excellent"
To mix with a keyboard connected to an external mixer. The keyboard will therefore mainly manages the pitch and pitch bend, the rest will be on the external mixer. Installation can be easier. I mostly tried the Beta 1.9 which allows finally have an outlet for different platinum. It is easy to change options and if we do not find the forum will help trouble-free. I tried different configuration and it was at least a dual core with 2 GB of RAM or 7 under XP X86 and X64. This works properly without flats (Beta 1 of version 1.9). It's only been a few days as I try, in Asion (MAYA 44 SE) it goes well. The asio sound is correct, it is not worth MixVibes PRODUCER I find a reference year ASIO but there is very good and does not distort the sound enormously. What interests me most is to mix in DirectSound (I find the sound much less distorted than Asio all programs combined) in putting this software on each laptop with the same sound card. What I would also 4 decks. In short, software to monitor and I'll post the update.